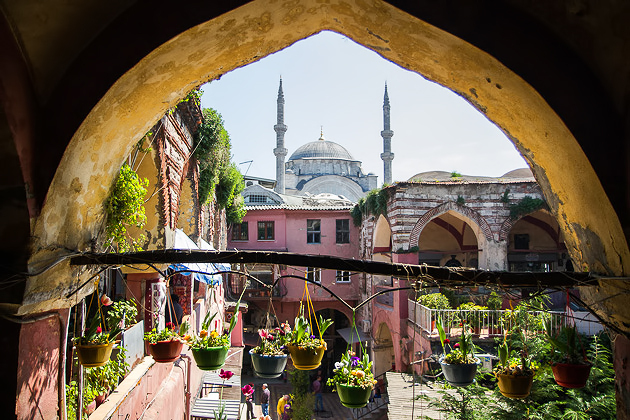 One of the world’s most historic and fascinating cities, Istanbul was our home for three incredible months. We explored the city’s museums, neighborhoods, markets, and were introduced to a lot of wonderful culture, food and interesting history. Perhaps the world’s most diverse metropolis, Istanbul has it all, and we made a concentrated effort to see as much as possible. 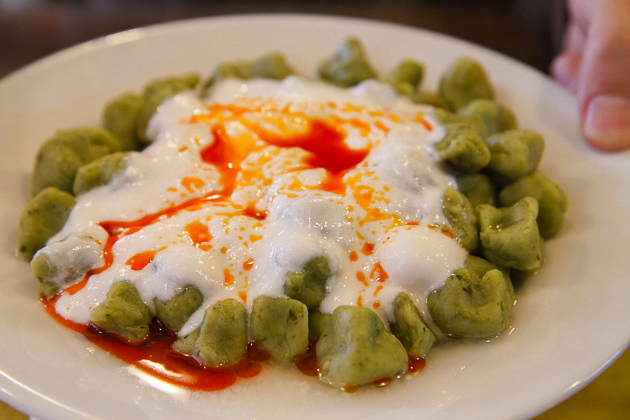 Manti are best understood as Turkish tortellini. There’s very little to distinguish them from their more famous Italian cousins. Pockets of dough stuffed with meat, potato, cheese, spinach, or anything else, this delicious Turkish staple immediately won a place in our hearts. We had been suffering through some rough weather for weeks, but spring finally arrived toward the end of April. The bad weather had us a bit of an emotional rollercoaster — overcast days are not normally our thing, but somehow the clouds struck a melancholic note appropriate to Istanbul. Wow, that went fast. 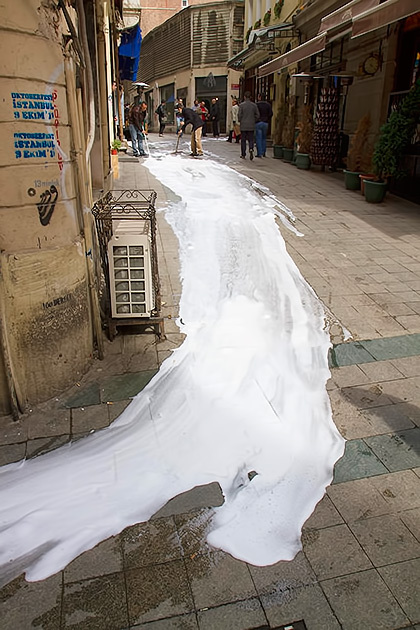 Our first month in Istanbul flew by way too quickly, leaving us a little nervous about our remaining time. We’ve prepared a gigantic list of things to do and see and, although we’ve accomplished a lot, the list doesn’t appear to be getting any smaller. Still, it’s been an amazing month, which has just left us eager for more. 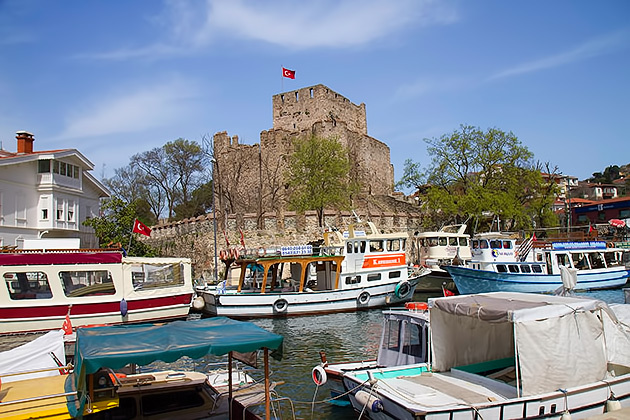 Here are our initial impressions about living in Istanbul. 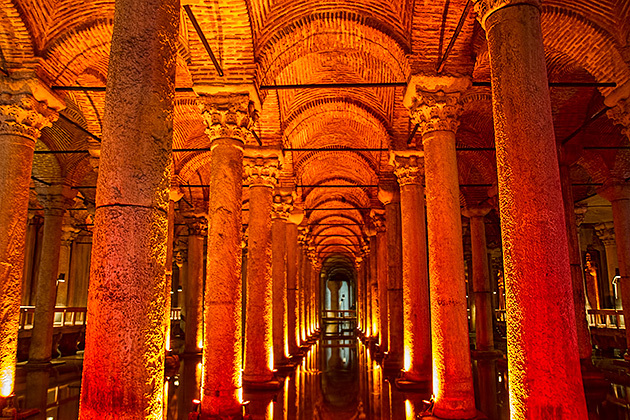 Hundreds of underground cisterns lurk beneath the surface of Istanbul, the largest of which is the Yerebatan Sarnıçı, or the Sunken Cistern. Built by Constantine the Great in the 4th century to provide water to his palace, it’s survived the ages in remarkable form.